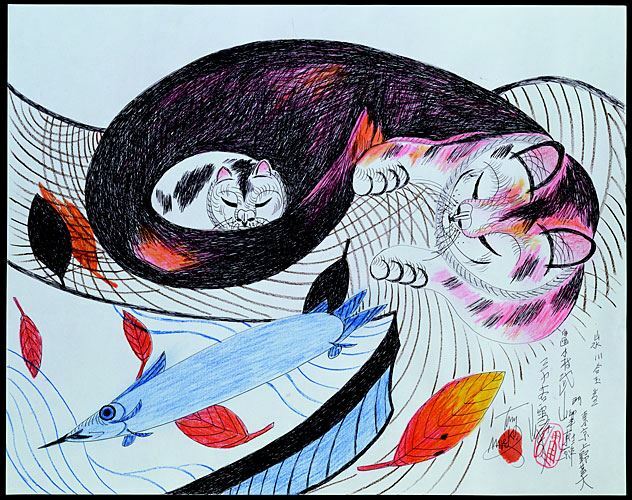 ‘ Art and Culture of Japan’ is a collaborative exhibit showing ceramic works by OPA members, and friends from Sapporo and Mashiko, alongside an exhibit of Japanese prints, and a special exhibit 'The Cats of Mirikitani', Japanese American painter. This is a call for entries. Please apply for this juried show if your work is influenced by traditional Japanese aesthetics. What: Pottery influenced by traditional Japanese techniques, methods, and aesthetics. OPA will display ceramics with a strong Japanese esthetic and influence, too compliment their exhibit of 2d works of Japanese prints and paintings. When: The show is for the month of May, 2017. OPA members will drop off artwork the weekend before show set up, April 29 & 30, and pick up work after show on May 27th and 28th. Where: In the beautiful gallery of Columbia Center of the Arts in scenic Hood River, OR. The gallery will set up and take down the show, and handle all sales. Commission is 60% to artist, 40% to gallery. Please send images of actual pieces that you intend to show. Professional photos are not required, however, quality of photos does impact selection. Blurry or poorly lit photos should not be submitted. Many fine looking photos of pots have been taken with a camera phone or personal camera. If you cannot send pieces of the actual pieces because you are waiting for a firing, you may enter photos of similar photos that represent your work. Please note if this is the case. The jury may select between 1-5 pieces to be included with the show. This will vary partially by the number of applicants.